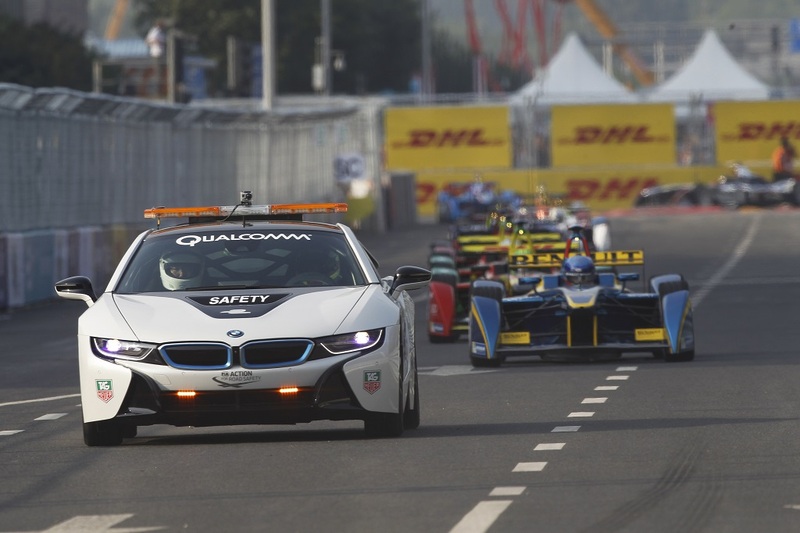 German brand BMW believes electric cars are its future - even on the racetrack. Speculation has been mounting for months that the company would join the World Endurance Championship with an LMP1 car to rival entries from Porsche, Audi, Toyota and Nissan. However, BMW's motorsport boss, Jens Marquardt, has ruled out building a car to the current hybrid rulebook, saying the brand wants to race a fully-electric car to promote its new range of electric road cars, the i3 and i8. "The regulations in LMP1 will be new for 2017 and it will be a hybrid class where the key players are competing at a high level," Marquardt told Autosport. "We see hybrid as a stepping-stone towards EV [electric vehicle] and EV as the future for BMW, which we showcase in the i sub-brand. "This current set-up does not fulfil our needed criteria." And the BMW bigwig also ruled out joining Citroen's DS brand and Renault in supporting teams in the all-electric Formula E Championship. He said the series reliance on mid-race car swaps was bad for the public perception of electric cars and the so-called "range anxiety". "If you look at public discussions of electric mobility, the issue of reach is very important," Marquardt said. However, Formula E organisers are pushing to eliminate the car swaps ahead of originally planned as part of increased technical freedoms for the teams and manufacturers.